Investing in a luxurious item for your home is exciting. 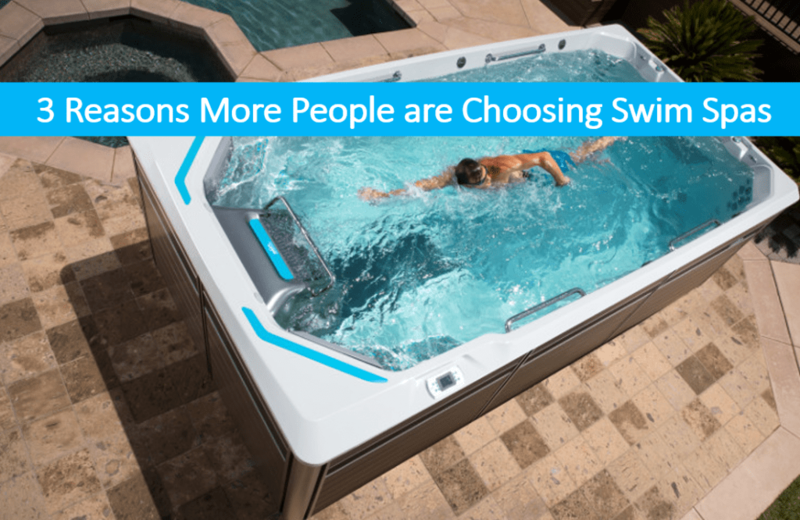 Here are three reasons why the swim spa is quickly becoming the home addition of choice for homeowners. A swimming pool at home is a treat for the entire family. But, a swim spa can be placed indoors or out, meaning you can use it all year long, even with snow on the ground! The perfect addition to an enclosed sunroom or patio, your swim spa is ready and waiting! What about homeowners with limited backyard or patio space? A swim spa is the perfect solution! The average swim spa can be installed on a tiny deck, in a small backyard and even indoors. A compact machine with large benefits, the most luxurious swim spa takes up virtually no space at all.